Vintage Diamond Engagement Ring with Pave Setting | Shane Co. 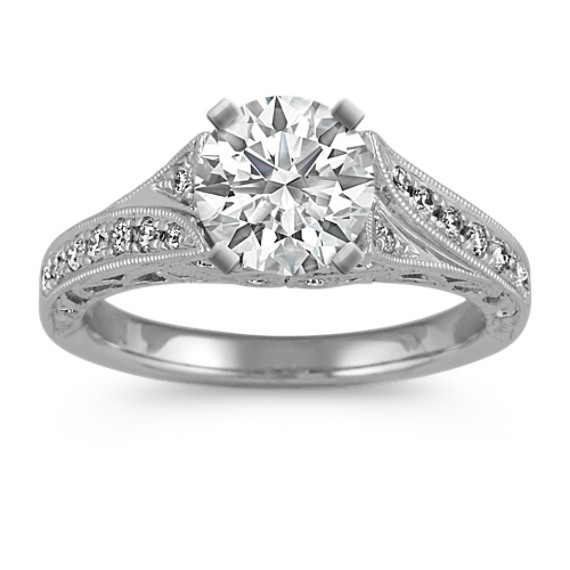 This beautiful vintage inspired engagement ring is part of our exclusive Couture by Shane Co. collection and is awaiting the center diamond of your choice. Twenty-round, pavé-set diamonds, at approximately .31 carat total weight, provide the perfect accent in this exquisitely detailed quality 14 karat white gold ring.